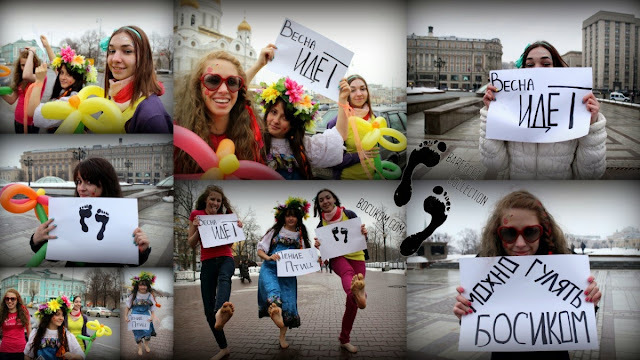 Helga, Elsa and Anna organized a flash mob in February barefoot. People on the street dressed in winter clothes, and our girls are shocking them with their bare feet. Their dirty feet like cold asphalt of the city!